Our Sales Experts take calls all the time from enthusiasts that want to eliminate wheel hop while also staying on a tight budget. This is where the Stop the Hop Starter Kit comes in. Our team of engineers got together and came up with the best 3 parts for eliminating unwanted wheel hop in the new S550 Mustang. 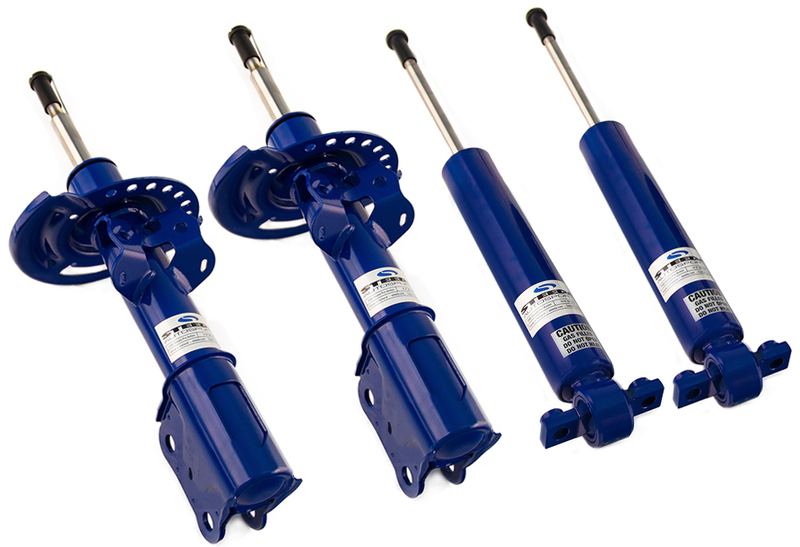 A kit that gives you the fundamental foundation for ultimate traction and suspension compliance. As we have explained before, the factory IRS subframe, (often inaccurately referred to as a cradle), mounts to the S550 chassis with 4 mounting locations utilizing 4 soft rubber bushings with plenty of voids, even in the bolt holes. The kit we put together addresses these issues and more. First is our Alignment dowel kit. This fills the factory bolt hole voids with CNC machined delrin inserts that will square up the rear subframe to the chassis. By filling these voids we are also limiting the side to side and front to back movement of the subframe that is present under hard acceleration and braking. 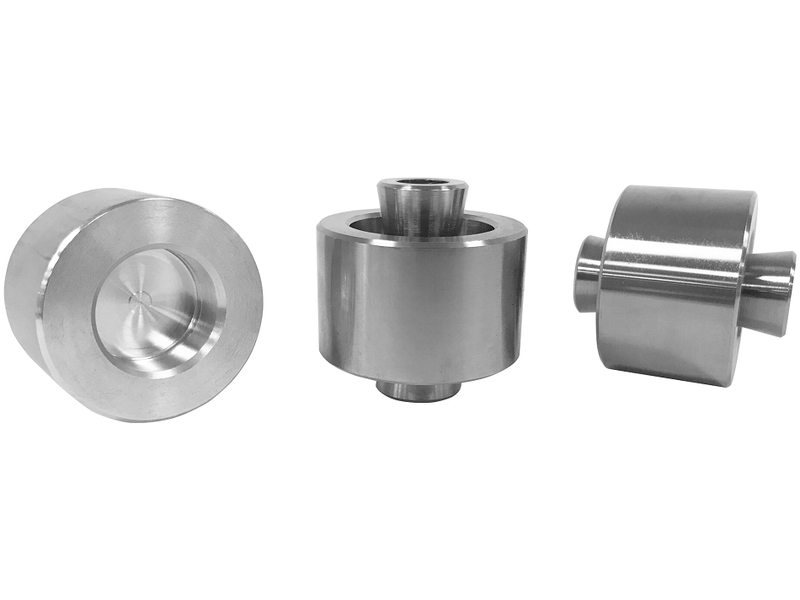 Second is our tried and true IRS Subframe Bushing Support System. This 8 piece kit was a first of it's kind in the performance aftermarket and so innovative and popular we patented it's design! 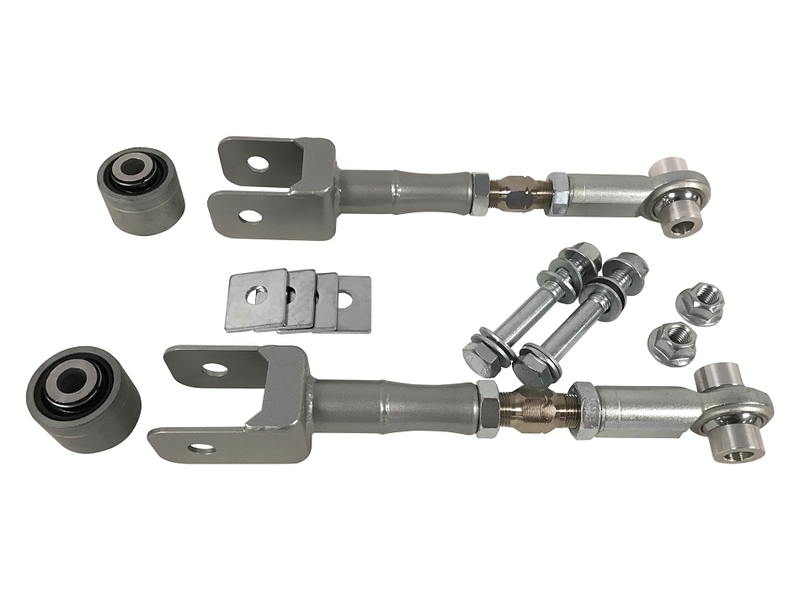 Made in house from billet 6061 aluminum and featuring stainless steel hardware, this kit fills all the factory voids in the IRS subframe mounting locations. It's job is to prevent up and down movements of the subframe. 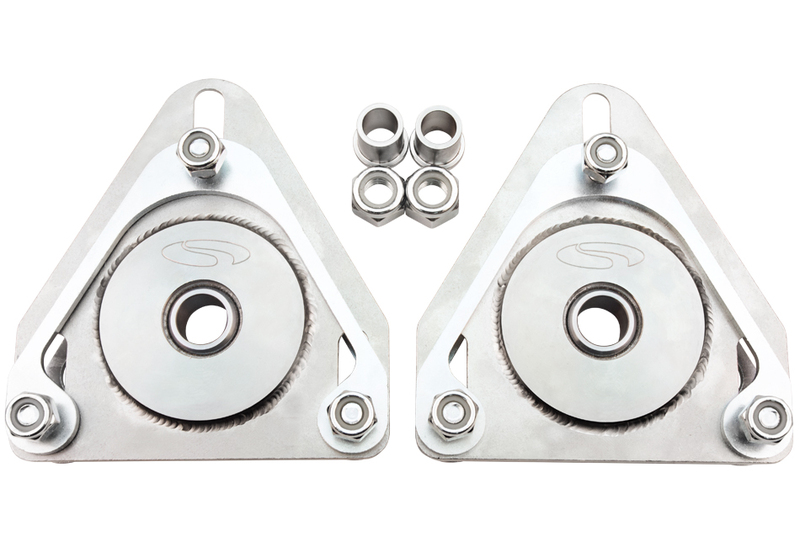 The 3rd and final piece to this kit is the strongest support brace for the S550 IRS on the market!! 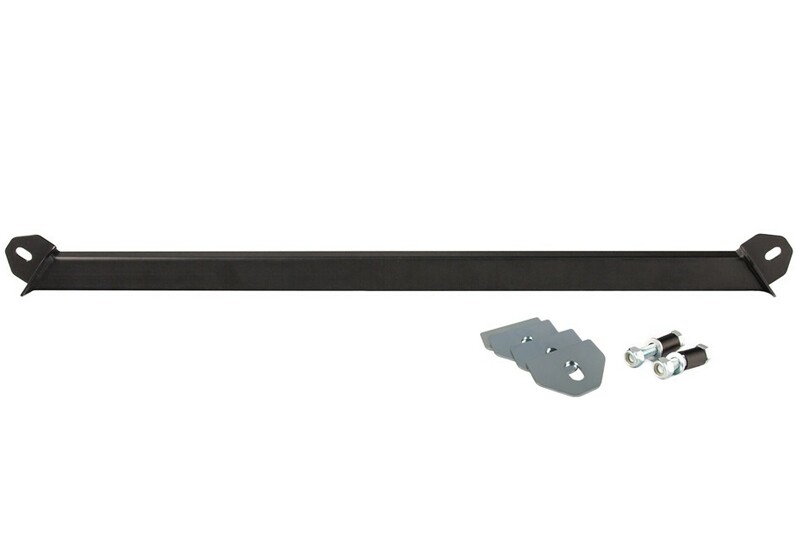 Made in house from chrome moly steel, this brace is designed to support the factory subframe by directly tying it into the chassis at key mounting locations. 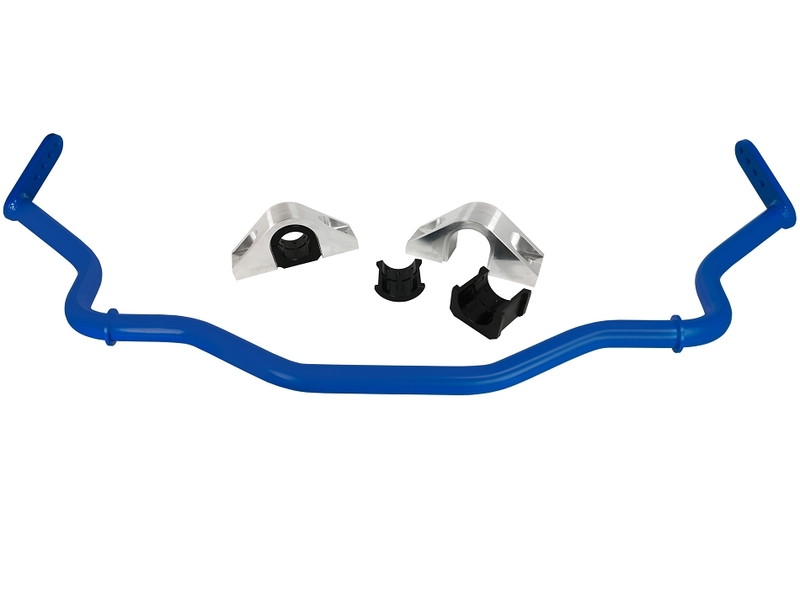 Using factory mounting locations on the factory frame, this 5 point brace supports the front factory mount and the lower control arm mount as well. A simple bolt in design this brace ties the subframe to the chassis in the best possible way. The best part about this kit, is the price. These 3 parts were the first of their kind for the S550 Mustang and nothing will prevent unwanted subframe movement or wheel hop better than this kit. Hey guys this is John from Steeda. I want to get you guys a little more info today on our "stop the hop kit" we've got three available now including our new stop the hop enthusiast package. Let me go from one division we're gonna start with our stop the hop starter kit. 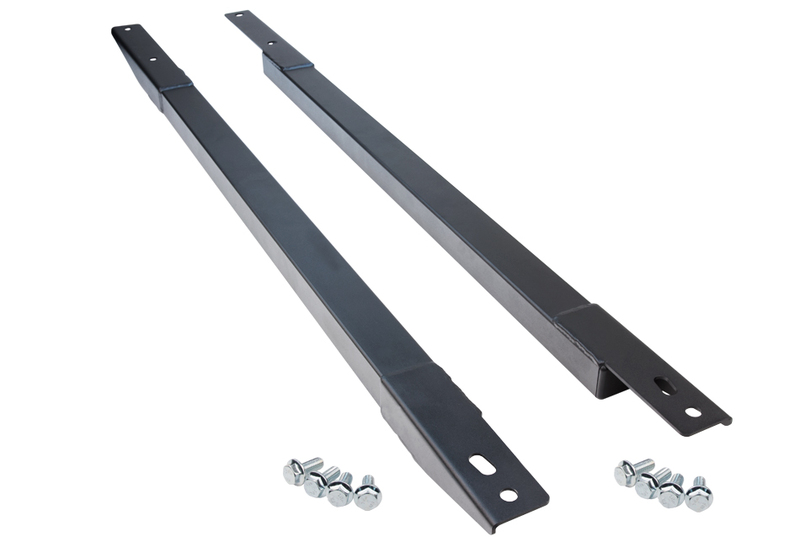 Now this kit includes our steel subframe braces, which are these right here. They help eliminate lateral movement in the subframe itself and they leave it to the chassis more effectively. We've also got our Steeda subframe alignment Kit. Now these dowels right here they fill the voids between the stock bolts and subframe a little bit different size they can have up to a quarter inch of movement in most cases in any direction. This helps keep the rear end center every time under the car. 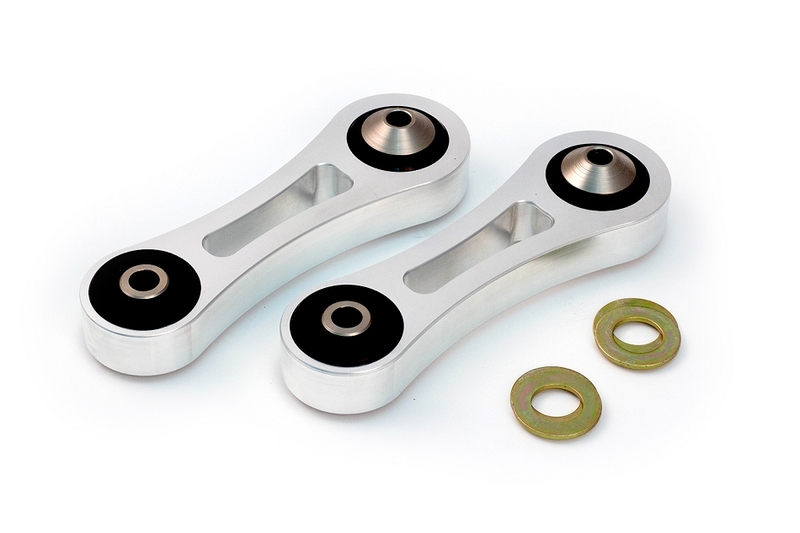 And to close out the starter kit we've got the subframe bushing support system. but what these do is they fill the voids in the stock bushings and that helps to control the deflection and the oscillation of the bushings under a hard launch. It gives more consistency in less wheel hop. Now if you want to turn the starter kit into an enthusiast kit, move in and move towards our Steeda lower control arm spherical bushings. We found it up two degrees of movement is found in the bushing under a hard launch and this doesn't allow it. So it's going to lead again to more consistent launches and less wheel hop. And we found our Steeda "stop the hop ultimate kit" what this is, is it builds on the starter kit and includes our newest Steeda toe links and these help control the toe on the car they're a lot stronger than a factory piece, they don't have as much movement or flex to them. And we got our CNC machined Steeda vertical links. These are one piece CNC designed very large bushings. We offer it with urethane or delrin, Depending on how stiff you want them. And what that means is it helps to stop binding which we found in a stock, which is what Ford calls it, and not binding actually creates an artificial spring rate which changes as the increased movement on the rear axles and that leads to a lot of wheel hop issues inconsistency. These are going to eliminate that problem and if you want to add it the spherical bushings to this kit we've got a drop-down our website. Just let our experts know. 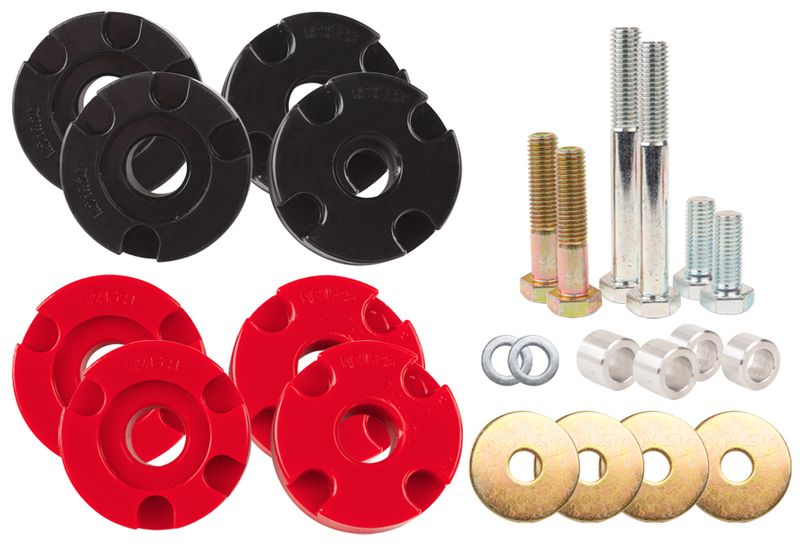 You can also add our Steeda differential bushing insert system to any of these kits and you really get the ultimate control of the rear end on your drag car. Now if you've got any questions about your project, need some tech advice, we go by the motto of speed matters. It matters to us, it matters to you. We want to help you guys get on the track have fun, turn some great results. It's what we've been doing for 30 years. Give our performance experts a call. We'll be more than happy to help you out. Thanks for watching. I'll see you guys soon. Medium Install with Great Results! The installation for this kit is a medium in my opinion. I would 100% recommend watching every single tutorial on YouTube before attempting this. The instructions are okay, but there's nothing like watching someone else perform the install. The ride is much tighter in the back. The wheel hop is definitely reduced. It's amazing was the kit does. I really feel like the name "Starter" is a misnomer, it really should be "Street", because this is everything you need for Daily/Street driving to be amazing! I would definitely recommend buying this product! I put these components on my 2015 GT PP, along with an Extreme G-Trac brace and jacking rails. I've never come close to owning a car that handles as well as this Mustang. Things that seemed suicidal to me in the past are light work for this car. What a pleasure.